In accordance with the Organic Law 15/1999, of the 13th of December, regarding the Protection of Personal Data (LOPD), the data provided by the User will be introduced into an automated file which will be processed exclusively for the purpose previously described. Said data will be gathered by means of the corresponding forms, which will contain only the fields necessary for providing the service which the User requires. Personal data will be processed with an appropriate level of protection, in accordance with the Royal Decree 1720/2007, of the 21st of December, taking the necessary security measures in order to avoid said data being altered, lost, processed or accessed by unauthorised third parties who may use them for purposes other than those for which they were requested from the User. The User hereby gives their consent for their personal data to be given to third companies so that said companies can process their personal data with the aim of guaranteeing the continuity of the services offered by AGROPECUARIA VALLEFRIO NUEVA S.L. and to monitor the correct operation of the website. 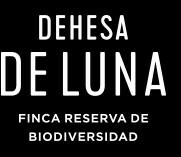 Finally, the User may exercise their right of opposition, access, rectification and cancellation in accordance with the provisions in the LOPD or, for any relevant query or personal comment, they may simply send an email notification to: contacto@dehesadeluna.com or a written notice to: Agropecuaria Vallefrío Nueva S.L. Carretera CM- 3106, km 16. 02630 La Roda. Spain. Service providers may use data storage and recovery devices in the end user’s terminal equipment, provided that said users have given their permission after being provided with clear and thorough information regarding data usage and especially the purposes of data processing in accordance with the provisions in the Organic Law 15/1999, of the 13th of December, on the Protection of Personal Data. Whenever technically possible and effective, the end user’s permission to accept data processing can be provided using the relevant settings of the browser or other applications, as long as this is configured by the user during installation or update by means of an express action for that purpose. - Those which solely enable communication between the user’s equipment and the network. - Those which strictly provide a service expressly requested by the user. -Technical cookies: These cookies allow the user to browse a website, platform or application and to use the different existing options or services provided such as, for example, to control data traffic and communication, to identify the session, access restricted access areas, remember elements included in an order, carry out the purchasing process of an order, apply for registration or participation in an event, use security features during browsing, store content for broadcasting videos or audio or sharing content on social media networks. -Personalisation cookies: These cookies allow the user to access the service with some general predefined characteristics according to a series of criteria in the user's terminal, such as the language, the type of browser used to access the service, the regional configuration from which the service is accessed, etc. -Analysis cookies: These cookies allow those responsible for them to monitor and analyse the behaviour of the users of the website to which they are linked. Information gathered via this type of cookies is used to measure the activity of the websites, application or platform and to elaborate navigation profiles of the users of said sites, applications and platforms, with the aim of introducing improvements in terms of the analysis of the usage data of the service users. -Advertising cookies: These cookies enable the management, in the most efficient way possible, of the advertising spaces which, as the case may be, the editor has included in a website, application or platform from which the requested service is provided on the basis of criteria such as the edited content or the frequency with which adverts are shown. -Behavioural advertising cookies: These cookies enable the management, in the most efficient way possible, of the advertising spaces which, as the case may be, the editor has included in a website, application or platform from which the requested service is provided. These cookies store information regarding the behaviour of the users obtained by means of the continuous observation of their browsing habits allowing for a specific profile to be developed in order to show publicity in accordance with said profile. - Where appropriate, entities directly related to the editor in charge of the website which are expressly listed below: -. Consent for the installation of cookies will be considered given by means of checking the box relating to the acceptance of the “Cookies Policy” which is displayed on our website. In cases where the user does not explicitly express whether they accept the installation of cookies or not but continues to use the website or application, it will be understood that they have given their consent, our entity informing them expressly of the possibility of blocking or deleting the cookies installed on their equipment by means of the configuration options of the browser installed on their computer. Although accepting the installation of cookies on your computer is optional, refusing their installation may cause the functionality of the website to be limited or not possible at all, therefore making it impossible for us to provide services via said website. AGROPECUARIA VALLEFRIO NUEVA S.L is committed to the compliance of its secrecy obligation regarding personal data and its duty to safeguard said data and will adopt all necessary measures of a technical and organisational nature in order to guarantee the safety of personal data and prevent unauthorised alteration, loss, treatment or access, in view of the state of the technology, the nature of the data stored and the risks to which it is exposed, whether arising from human action or that of the physical or natural environment, developed in Title VIII of the Royal Decree 1720/2007 of the 21st of December, approving the Development Regulation of the Organic Law 15/1999, of December the 13th, on the Protection of Personal Data. In accordance with the provisions in the LOPD and the Royal Decree 1720/2007, of the 21st of December, approving its own Development Regulation, the end user of the service can exercise, at any time, their rights of access, rectification, deletion and opposition to the party responsible for the file or treatment, including a photocopy of their ID card. 8. PARTY RESPONSIBLE FOR THE FILE OR PROCESSING The party responsible for the file or processing is AGROPECUARIA VALLEFRIO NUEVA S.L. with address for notification purposes at Carretera CM- 3106, km 16. 02630 La Roda. Spain.